This is Tobie! 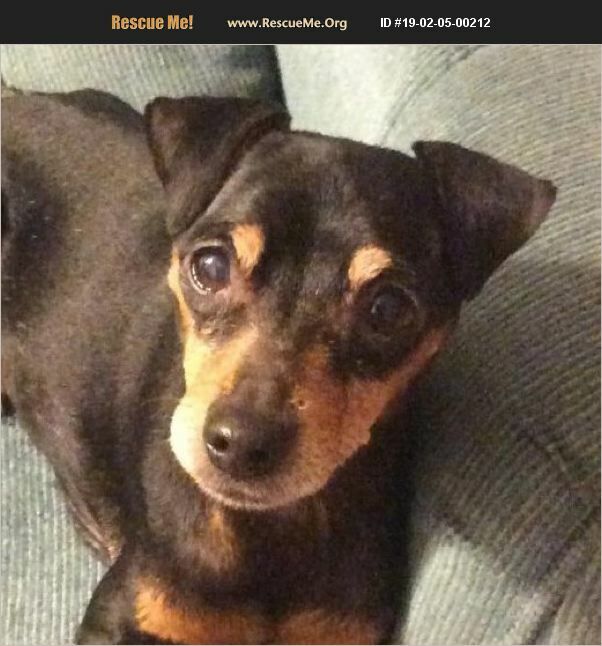 He is a 6 to 7 year old Min Pin mix who came to us from a shelter in Mississippi after he was found as a stray. Tobie was never claimed so we were glad to give him his freedom ride out of there and into our rescue! Tobie weighs just 8 pounds so due to his small size he should not be round very young children. He is a chipper little guy who loves to cuddle with his human. At night, he loves to burrow under the covers and is a real snuggle bug in bed! Tobie has not been tested with cats or small kids. He is not fully house trained yet but we have been working with him on that and he is making good progress as long as he is kept on a regular schedule to go outside. Tobie is Heartworm positive and while that may sound ominous, treatment is simple and inexpensive. We support the slow kill method which takes about 6 months to safely eliminate all the live heartworms. All that is required is an Advantage Multi preventative treatment every month, which is the same monthly preventative you would give to a healthy dog. The adopter must agree to continue treatment and the rescue will pay for retesting after 6 months, or until the test is negative. Otherwise, Tobie is up to date on all his shots and is microchipped with a lifetime registration. All he needs now is his furever home!